Fashioned from North American White Oak, the Cambridge unfinished interior door will add a classic look to any room. 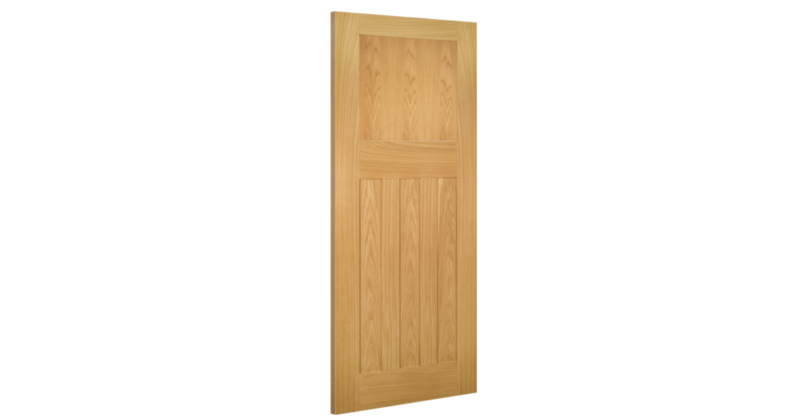 The flat four panel square cut, shaker style design adds a modern twist on this timeless door. Deanta offers the thickest lippings available in the UK internal door market. All Deanta Doors have 18mm lippings around the entire doors meaning that a total of 32mm can be taken off the height and width of these Deanta Cambridge Doors, ensuring that they will fit into almost any size of door opening. Deanta Cambridge Oak Doors are manufactured from engineered door components which can include MDF, particle-board and laminated timber. - We cannot exchange Oak Cambridge Doors after order - Deanta Cambridge Oak Doors are supplied as a Special Order. E. & O.E. see T&C - We do try to keep prices and specifi­cations Cambridge Oak Doors correct, but mistakes can be made!